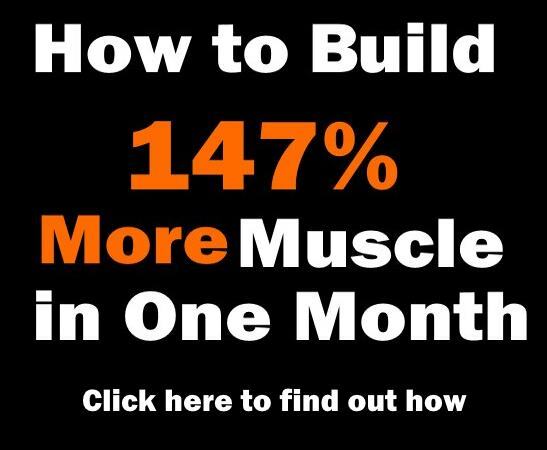 Home > Bodybuilding misc > Build Muscle > Are You Sure You’re Doing Push Ups Properly ? Are You Sure You’re Doing Push Ups Properly ? Although the push-up has been a cornerstone of almost every fitness program, many people don’t perform it the correct way. When performed properly, the push-ups can be extremely taxing for your body, challenging the strength of even the fittest individuals. Try performing a proper push-up using the form as described in the article bellow to prove our point. In addition, make one pause at the top a second pause at the bottom of the movement. This reduces the risk of cheating as you cannot rely on momentum. But before we get into specifics, let’s get back to square one. Although many people and trainers think otherwise, the push-up is not an exercise for beginners. It’s not some move that should be used for building your foundation, instead, it should be used only after you’ve laid down some of the core foundation. The truth is that push-ups are highly advanced and challenging exercise. Of course, only when done properly. Most people are not even aware that they are cheating during their execution, thus performing a ton of faulty reps that lead nowhere. When performed with proper form, even the fittest of the fit can find it difficult to perform them. 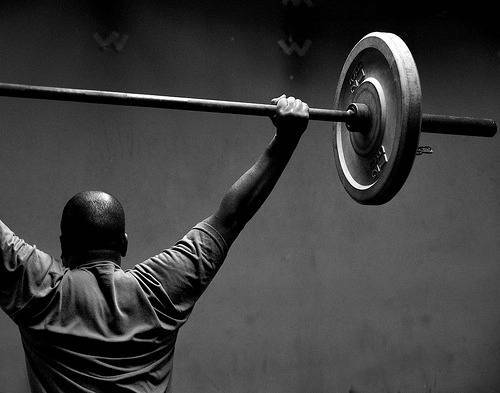 It takes a great amount of strength, coordination, stability, kinetic awareness. When you are performing the push-up correctly, you press up 70% of your total bodyweight. At the same time, this move requires you to invest significant energy into coordinating total body motor skills. Not many trainers would consider making a beginner use the same load numbers when performing reps with free weights. Learning the proper form with these numbers would be an impossible task. In this text we try to identify the most common training mistakes, and describe the proper technique for performing push-ups. It’s crucial to have in mind that the movement of the push-up is rotational, rather than linear. Your whole body rotates around a pivot point created by your feet. This results with a sort of semi-circular movement of the whole body, instead of bobbing it in a linear movement. 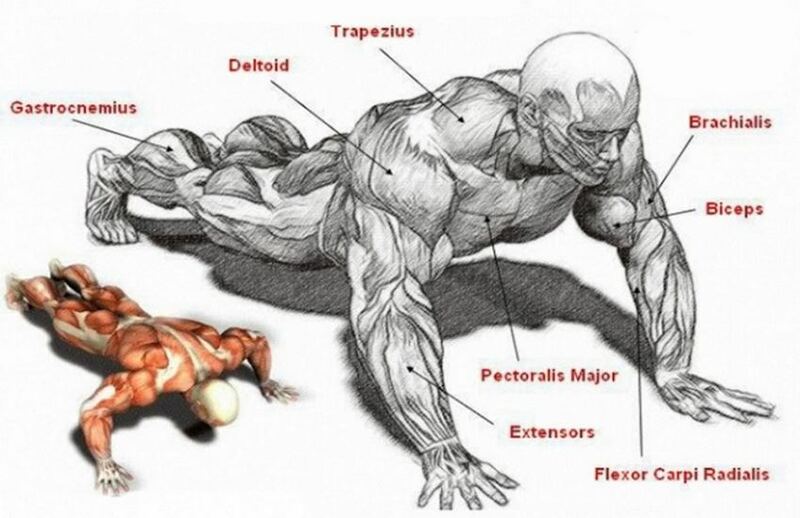 One of the things that most people agree on is that the proper push-up technique positions your body in a relatively straight line. Although this is absolutely true, many people wrongly assume that the top of the glutes is one of the points of alignment together with the ankles, knees and shoulders. Avoid making that mistake. The straight line of proper push-up is formed with the following five points of alignment: ankles, knees, hips, shoulders and head. In fact, aligning the hips with the other four joint points would take the glutes slightly above the rest of the body. You should maintain the natural curve of the spine, especially in the lumbar region. Using emphatically flat position of your back will place your hips below the other points of alignment. 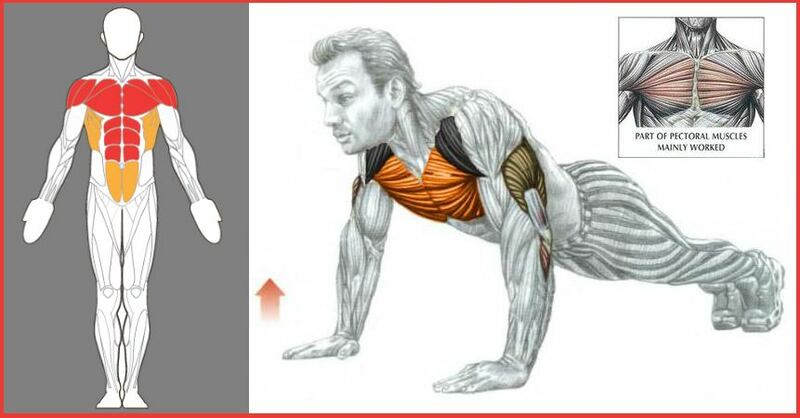 The proper push-up pose is in fact very similar to the proper standing posture, with natural curve in the lumbar spine. In order to reduce all chances for anterior pelvic tilt and excessive lorodosis (inward lumbar curve), you should pull the abdominal muscles in and keep the hips up. 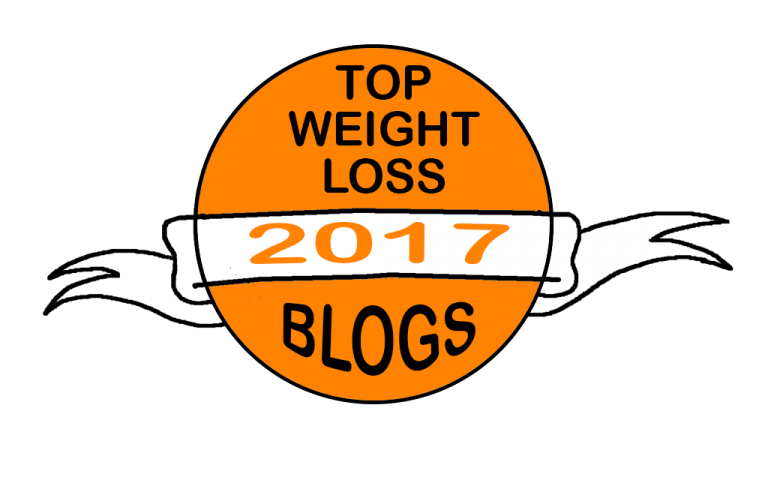 Avoid letting you stomach hang down below the torso. Many trainers would tell you that by squeezing your glutes you reduce the risk of cheating. Well, while squeezing the glutes is certainly a beneficial feature for some exercises, it should not be applied to all exercises in general. In fact, when performing the push-ups it is completely wrong. In this case it would be much better to contract your quads. This provides much better form of activation by firing up the hip flexors and hitting the core muscles. By contracting the quads you provide direct resistance to the extension forces of your spine and hips. The quads and hip flexors, together with the core, act as stabilizing force of your spine. This is especially emphasized in the plank. As you contract the quads you also squeeze out greater involvement of the hip flexors, balancing the extension forces. 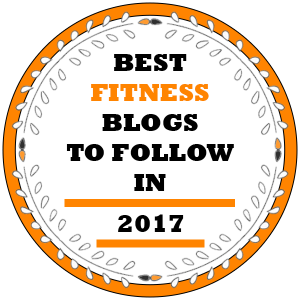 This is especially helpful when performing the push-ups with weights. Another benefit of quads contraction is that they help you to resist flexing your knees under the force of gravity that tends to pull them down. Considering the positioning of your hips, it’s always wiser to keep them high, instead of low. When the hips are positioned higher they trigger greater activation of extension resisting forces. Mind you, this is not some tip that will make the push-up easier. On the contrary, it adds difficulty to the movement. And although the position is far from ideal, at least it poses little risk to your spinal health. In opposition to this, positioning the hips too low will reduce the activation of the required muscles, shifting the focus to the spine. 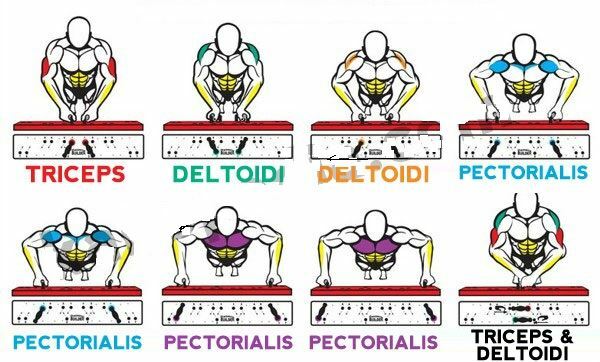 This positioning of the body results in great shortening the range of motion of the push-up, making easy to cheat on the execution. And although you’ll probably end up doing greater number of push-ups, they will surely be with poor quality. Another item on the list of most common mistake that people make when performing push-ups is packing their head and chin. You’d like to avoid that, because it shortens the cervical spine. The result of this compression is diminished neural signaling, poor alignment and shoulder function. Keep your head and neck in neutral position, creating a straight line with your spine.